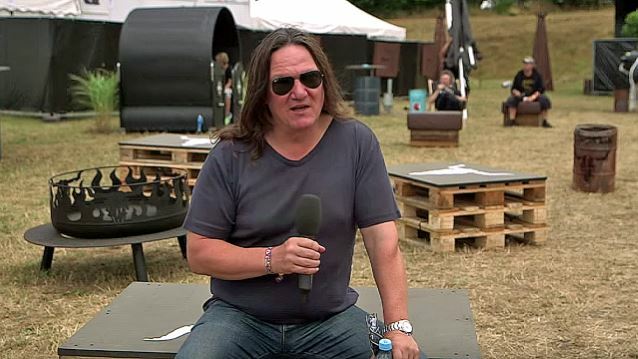 Thomas Jensen (pictured), founder of Germany's Wacken Open Air festival, tells Billboard.com in a new interview that the event is continuing to survive despite its 26 mostly money-losing years. Known as the largest heavy metal festival in the world, Wacken boasts attendance of 75,000 with minimal corporate sponsorship. In addition, the festival doesn't sell VIP access or upgrades and all purchases are for the three days without a single-day ticket option, something the organizers did away with a decade ago. Even though this year's edition of Wacken Open Air sold out within 12 hours and tickets to the 2016 event are already long gone, Jensen says that the money will be used "to pay last year's debt," including salaries to the festival's paid crew of 2,500. Jensen tells Billboard.com: "We're surviving. Every year is a challenge and this one will be hard — I don't think we'll lose money, but the profit will be eaten. But we have to get the best experience for the fan. If we're not doing that, we're not successful. It's as simple as that." Wacken Open Air is held in Wacken, a farming village with 1,800 residents that sits 50 miles northwest of Hamburg.